There are other dystopian novels out there and I have found that there is quite a bit that can be done with a post-apocalyptic world. However, author David Wind has come up with one of the most intriguing and original story lines for a book that I have come across in a long time. 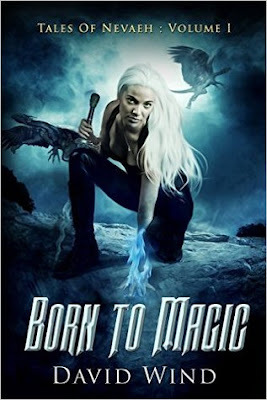 Part science fiction, part fantasy and part horror, 'Born To Magic' is a futuristic fantasy where the world of Nevaeh jumps off from the first page. The author writes beautifully, using specific vocabulary, without holding back the story line. I thought Areenna, the young heroine, was a well-developed character and fully understanding of the consequences of her actions. I couldn't put it down and read it from beginning to end in one sitting! I stayed up until three in the morning to finish it ;p Excellent writing from an excellent author. I really enjoyed this book. Can't recommend it highly enough for fantasy lovers everywhere. I have this book -it's on my list. I can't wait!